We are thrilled to announce to all of you this great event we are co-hosting in Bozeman, MT. 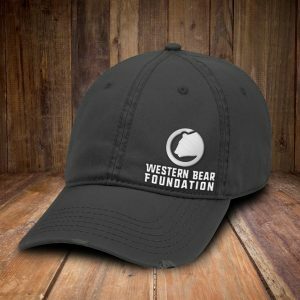 The Western Bear Foundation has partnered with the Right To Roams Podcast to bring you an unfiltered and unbiased look at the past, present, and future of grizzly bear management. This event will be a town hall type forum with key decision makers in grizzly conservation on hand to answer question from Right To Roams Chris Sheets. The audience will also have an opportunity to ask questions to panel members. We will wrap the whole event up with a must see speaker Shane Mahoney! Shane Patrick Mahoney, President of Conservation Visions and Founder of the Wild Harvest Initiative®, is an internationally-recognized conservationist and wildlife advocate, and is considered a foremost expert on the North American Model of Wildlife Conservation. Former Executive Director of Sustainable Development and Strategic Science for the Province of Newfoundland and Labrador, Shane serves as Deputy-Chair of IUCN’s Sustainable Use and Livelihoods Specialist Group (SULi); International Liaison for The Wildlife Society; and Deputy-Chair of the International Council for Game and Wildlife Conservation’s Policy and Law Division. He is also Executive Director of the High Lonesome Institute. Panel members to include: Hillary Cooley USFWS Grizzly Recovery Coordinator, Frank Van Manen IGBC Study Team, Dan Thompson Wyoming Game and Fish Dept. Large Carnivore Section Head, Mike Madel Montana FWP Large Carnivore Biologist, and Kevin Frey Montana FWP Large Carnivore Biologist. This panel represents a unprecedented amount of experience and knowledge in the field of grizzly recovery. “Can We Bear The Bias?” was an idea of the Right To Roam’s Chris Sheets, his goal was to bring people from many different interests into one space and give them a true status of the current situation of the grizzly bear. He truly wanted to make this an unbiased event that focused on the facts. 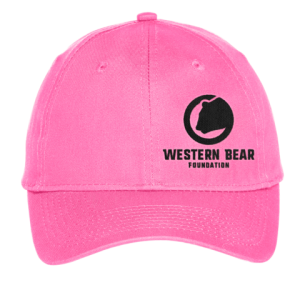 The grizzly bear is a very polarizing species in the West and it is creating some very big points of contention across many groups but “Can We Bear The Bias?” aims to break down some of those barriers. The Historic Ellen Theatre in Downtown Bozeman, Montana will be the location of the event. March 2nd, the Doors open at 3 P.M. with the show starting at 4 P.M.. There will be a full concession and bar at event along with some door prizes and raffles. Each ticket purchased gets you a free pint at 406 Brewing in Bozeman. We fully expect this event to sell out so head out and get your tickets today! Tickets available on the Ellen Theaters Website.